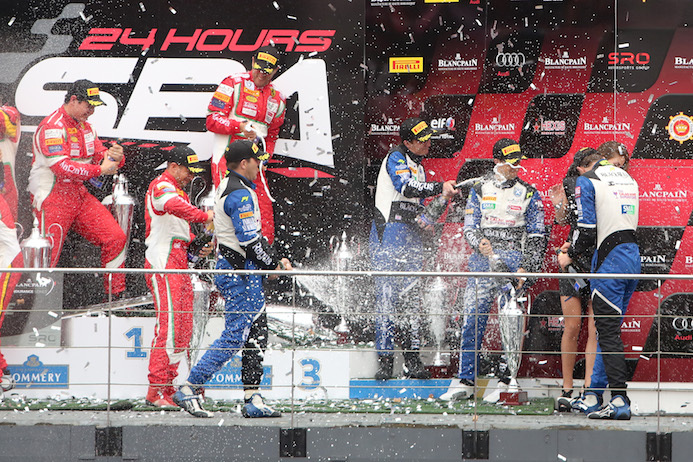 Sweet success for Ragus drivers on the podium. 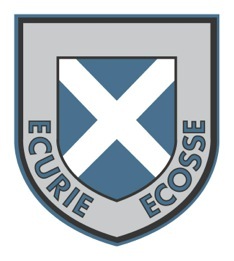 Ecurie Ecosse powered by Ragus Pure Sugar Energy saved their best Blancpain Endurance Series performance of the season for when it mattered most last weekend after scoring a Pro-Am podium finish at the 24 Hours of Spa for a second year running, taking 3rd in class, 7th overall and becoming the first British and non-factory team to make it to the finish. The event’s 67th running attracted its most competitive ever entry, which featured the cream of the world’s GT teams, manufacturers and drivers. Drivers Alasdair McCaig, Devon Modell, Oliver Bryant and Alexander Sims took the legendary Scottish squad to the chequered flag third in class, 12 months on from finishing second in the same category in 2014. 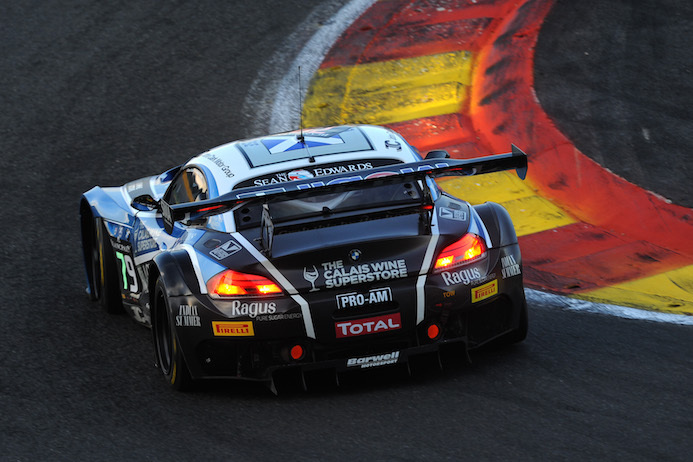 Ragus BMW Z4 GT3 powers through famous Eau Rouge corner at dusk. Sim’s, who currently leads British GT for Ecurie Ecosse, had been drafted in to the regular Blancpain Endurance Series line up for its longest race of the season and immediately proved what might be possible by progressing through to Friday’s top 20 Super Pole session. A brake binding issue ultimately scuppered his hopes of setting a representative time, but the team was nevertheless confident that its raw speed would be evident come race day. That was certainly the case in the treacherously wet conditions at the start on Saturday when the BMW factory driver picked up six places on the opening lap. Incredibly, his combination of speed and Barwell’s bold strategy call meant 3rd in class had become 1st overall by the time his triple stint was over after three hours, most of which was spent in the top three overall. Sugar for endurance at midnight driver change. Central to the team’s progress was its decision to defy prevailing thinking up and down the pit lane and remain on wet tyres instead of changing to slicks. Sure enough it wasn’t long before that inside knowledge was proven correct, the rain falling north of the circuit in Liege subsequently soaking Spa for a second time. That evening’s cold, damp but drying conditions proved much less favourable and as the BMW struggled to generate tyre temperature and grip following its subsequent switch to slicks, so it soon slipped down the order to lower reaches of the Pro-Am top 10. The team didn’t give up though and through the combined efforts of Bryant, Modell and McCaig, the latter’s total of six hours behind the wheel characterised by immaculate driving, the BMW Z4 was soon back in the hunt. 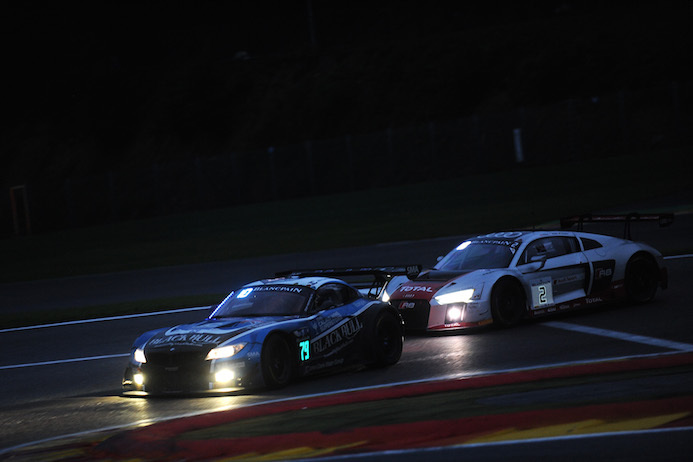 Ragus Pure Sugar BMW Z4 GT3 powers on in damp night time conditions. 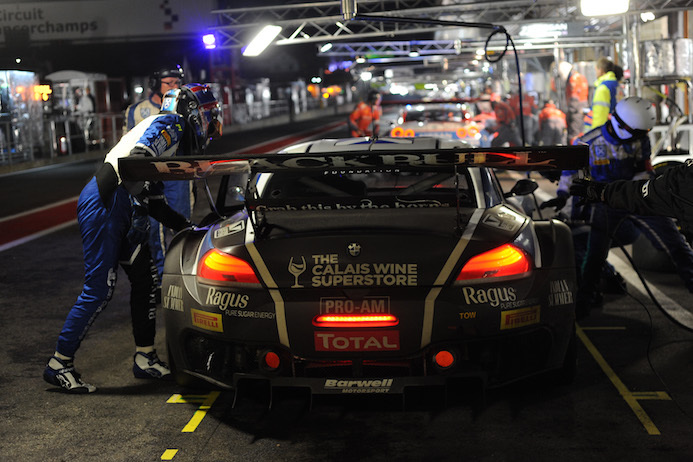 The BMW Z4 enjoyed a problem free 24 hours, and returned to parc ferme, post-race without a scratch to show for its work. 23 perfectly executed pit stops and no time spent in the garage, also played its part in an all round spectacular team performance by the Barwell crew. While 3rd in class was undoubtedly a fantastic result, the greatest achievement might well have been coming home 7th overall amongst a 58 car field and behind just four of the 23 all professional driver crews that started the race.